Monte Carlo ([ˈmonte ˈkarlo]; French: Monte-Carlo, [mɔ̃te kaʁlo], or colloquially Monte-Carl, [mɔ̃te kaʁl]; Monégasque: Monte-Carlu) officially refers to an administrative area of the Principality of Monaco, specifically the ward of Monte Carlo/Spélugues, where the Monte Carlo Casino is located. Informally the name also refers to a larger district, the Monte Carlo Quarter (corresponding to the former municipality of Monte Carlo), which besides Monte Carlo/Spélugues also includes the wards of La Rousse/Saint Roman, Larvotto/Bas Moulins, and Saint Michel. 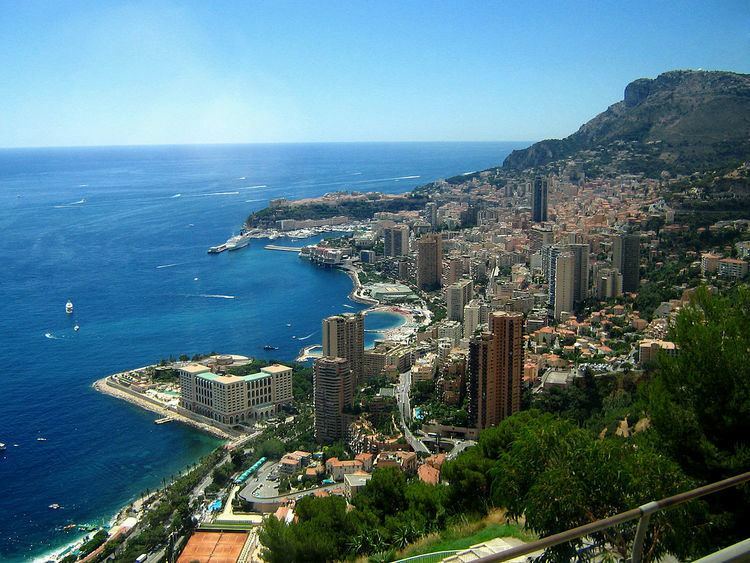 The permanent population of the ward of Monte Carlo is about 3,500, while that of the quarter is about 15,000. Monaco has four traditional quarters. 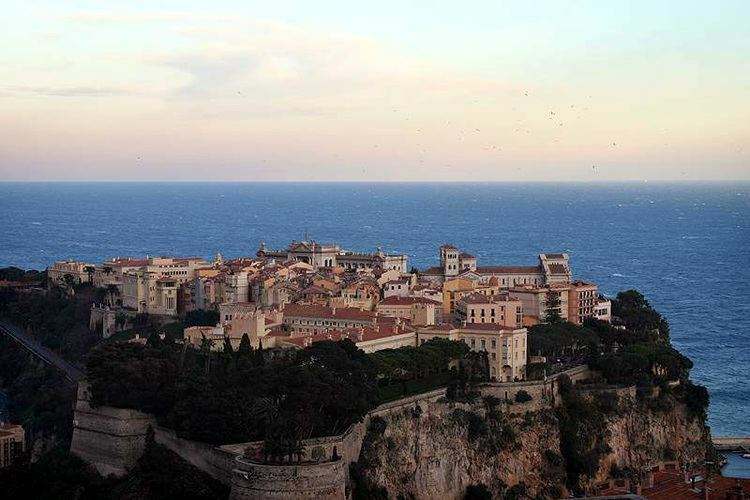 From west to east they are: Fontvieille (the newest), Monaco-Ville (the oldest), La Condamine, and Monte Carlo. Monte Carlo (literally "Mount Charles") is situated on a prominent escarpment at the base of the Maritime Alps along the French Riviera. Near the quarter's western end is the world-famous Place du Casino, the gambling center which has made Monte Carlo "an international byword for the extravagant display and reckless dispersal of wealth". It is also the location of the Hôtel de Paris, the Café de Paris, and the Salle Garnier (the casino theatre which is the home of the Opéra de Monte-Carlo). The quarter's eastern part includes the community of Larvotto with Monaco's only public beach, as well as its new convention center (the Grimaldi Forum), and the Monte-Carlo Bay Hotel & Resort. At the quarter's eastern border, one crosses into the French town of Beausoleil (sometimes referred to as Monte-Carlo-Supérieur), and just 8 kilometres (5 mi) to its east is the western border of Italy. By the 1850s Monaco's reigning family was almost bankrupt; this was a result of the loss of two towns, Menton and Roquebrune, which had provided most of the principality’s revenues with their lemon, orange and olive crops. At the time, a number of small towns in Europe were growing prosperous from the establishment of casinos, notably in German towns such as Baden-Baden and Homburg. Additionally there are 74 suites and junior suites which are grouped similarly, offering more luxury than the rooms. There are single and double suites as well as courtyard junior suites and Sea/Casino Junior suites. There is also one Presidential suite. The casino featured in the James Bond films Never Say Never Again (1983), and GoldenEye (1995). To Catch a Thief (1954) was an Alfred Hitchcock film with Monte Carlo and its famous casino as the setting and featured Cary Grant and Grace Kelly, the future Princess Grace of Monaco, as the stars. There is a scene in the movie where the-then Grace Kelly drives a car very quickly—and dangerously—along the steep winding roads of Monaco that surround the heights of Monte Carlo; an interesting coincidence to her actual fate in 1982. Monte Carlo was even a location for the late 1960s British London based series Randall and Hopkirk (Deceased) where in the eleventh episode of the series, "The Ghost who Saved the Bank at Monte Carlo", Mike Pratt, Kenneth Cope and Annette Andre went to Monte Carlo to accompany a highly talented elderly woman to gamble inside the casino and waylay a group of thugs (amongst them Brian Blessed). And Grand Prix (1966) was filmed here, which starred James Garner, Eva M. Saint, and Yves Montand. Herbie Goes to Monte Carlo (1977) starring Dean Jones & Don Knotts. The motor race Monaco World Prix 1 in Monte Carlo also featured in the 2010 film Iron Man 2. Other films such as I Spy, Cars 2 and Monte Carlo use the city as a setting. The video game series Gran Turismo often features Monte Carlo as a location, and the Indie game Monaco: What's Yours is Mine features Monte Carlo as a setting. There are two difficult heists in the endgame that take place in the Casino. The hotel in Monte Carlo, Monaco also made an appearance in the 2012 DreamWorks Animation SKG film Madagascar 3: Europe's Most Wanted.